SYCL (sɪkəl – as in sickle) is a royalty-free, cross-platform C++ abstraction layer that builds on the underlying concepts, portability and efficiency of OpenCL, while adding the ease-of-use and flexibility of C++. 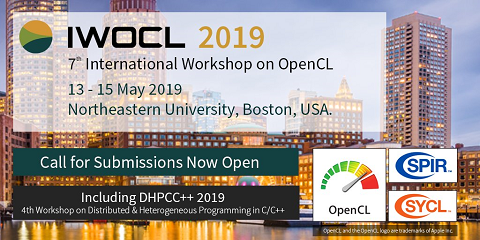 For example, SYCL enables single source development where C++ template functions can contain both host and device code to construct complex algorithms that use OpenCL acceleration, and then re-use them throughout their source code on different types of data. SYCL has also been designed with resilience from the start, by featuring, for example, a fall-back mechanism to automatically re-enqueue kernels on different queues in case of a failure.